You're invited to join OAR FM's 'Gentlemen of Jazz' Calder Prescott (My Kind of Jazz) and Lou McConnell (Jazz Cafe) for an unforgettable celebration of swing featuring Dunedin City Jazz Orchestra. Tickets for this OAR FM fundraiser are $25, which includes tea/coffee and a scone, cash sales available from OAR FM at Community House, 301 Moray Place. Email manager@oar.org.nz or call 471 6161 for details. Mary Jane Kivalu, Melania Napa’a & Taina Puloka bring together Tongan students and other youth to express their thoughts on issues they face. Podcasts HERE. Stories of women from India - from everyday lives to women from mythologies. There is a lot to be proud of, so celebrate them with Swaroopa Unni. More HERE. We catch up with Dunedin Community Board representatives to talk about topics of the day and profile people making a difference in their communities. Podcasts HERE. Join Dee O’Malley as she explores the stories of our women - their opinions, their talents, their everyday concerns, and their extraordinary lives. Check podcasts HERE. Partly Unplugged. Totally Original - Young Dunedin acts perform their own songs and tell us about their musical journey. Audio and video podcasts available HERE. Join Dr Denise Quinlan and her guest experts to learn about simple and effective tools that will build your wellbeing. Wednesdays 10am & Sundays 10.30am. Conversation with notable Otago women about issues and projects relating to Graduate Women Otago, our great little city and beyond. Weds 5pm and Sunday 10am. Join Valerie from MS Otago as she and her guests discuss the challenges that people with Multiple Sclerosis face, and the support that is available in our community. Updates from the Southern District Health Board and the Community Health Council. The latest news and opportunities to have your say. Podcasts HERE. Join Brighid every week as we explore queer and takatāpui lives in New Zealand, interview a new guest and get to know each person within and beyond labels. Podcasts HERE. Join Puaka Matariki Festival coordinator Vicki Lenihan as we hear from folk with local connections about the ways they’ve learnt to plan for a healthy future. Podcasts HERE. Hosted by Dr Elaine Webster, hear readings and insights from Dr Lynn Jenner's University of Otago Continuing Education short course held in summer 2018. A weekly show from the Christian Science Sentinel. Hear a Q & A on a timely topic or a report of healing in the words of the individual who experienced it. More HERE. 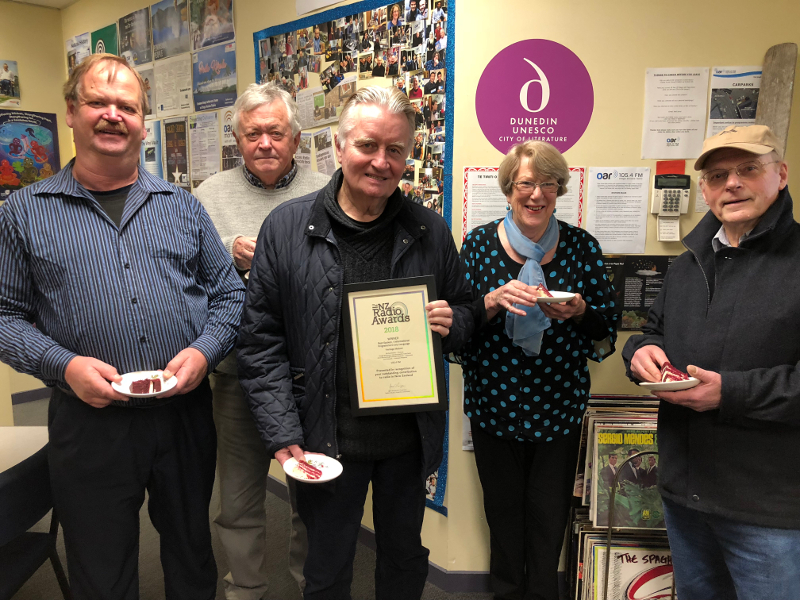 CONGRATULATIONS to Bill Southworth, Jane Edwards, Dougal Stevenson, Keith Scott, Richard Stedman and Ann Barrowclough, who achieved top honours at the NZ Radio Awards. Heritage Matters won Best Spoken/Informational Programme in Any Language (Best Community Access). 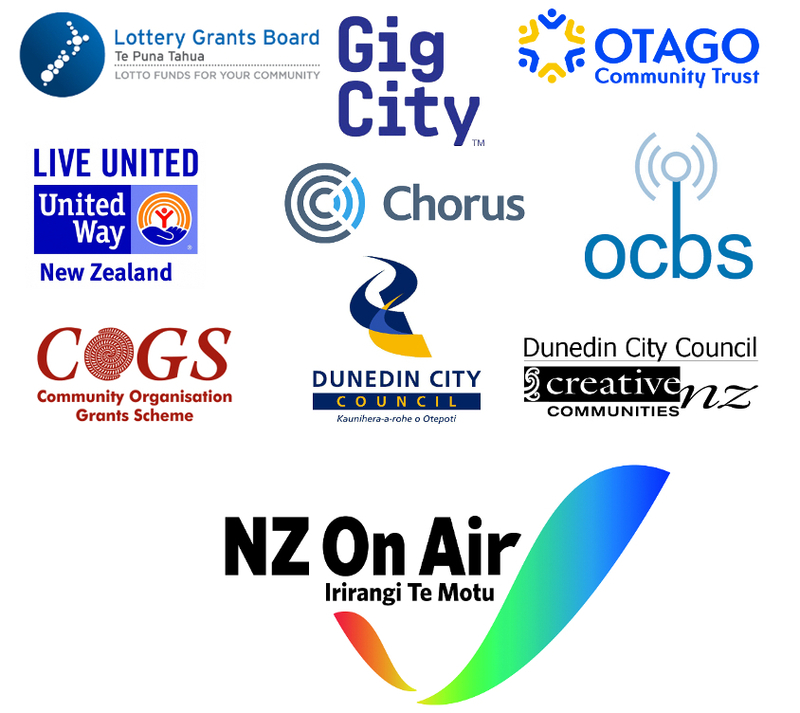 Copyright © 2018 Otago Access Radio, All rights reserved. Our mailing address is: community@oar.org.nz. If you do not wish to receive Hearsay, please unsubscribe from this list. Or update subscription preferences here.